Awarding winning and groundbreaking illustrator Leo Dillon died on May 26th. The first I heard of Dillon's passing was when I stopped by illustrator Shadra Strickland's blog yesterday. Today a friend sent me the link to Dillon's obituary in Publishers Weekly. 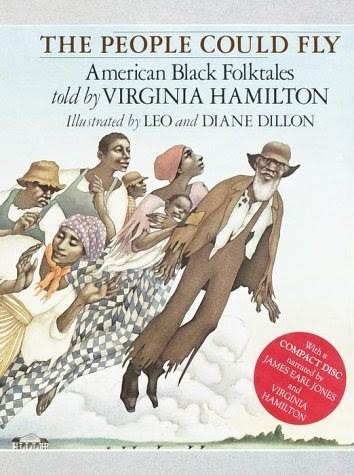 The first picture book that I read that was illustrated by Leo and Diane Dillon was Honey I Love by Eloise Greenfield and I was hooked ever since. I am going to continue on for bit but only because I think Leo Dillon would approve (or at least I hope so). Award winning illustrator R. Gregory Christie is opening Gas Art Gifts an art studio/children's bookstore in Atlanta, GA's North Dekalb Mall. Through The Youth Innovators Program, GAS-ART GIFTS will to expand its reach into the community by providing an opportunity for youth to explore the art fashion design, illustration and entrepreneurship. Each group of youth will be engaged in 12 hours of learning. Since I live in Atlanta I have had the opportunity to see Christie's space and I like it a lot. See for yourself Christie has a funding campaign at Indiegogo until Saturday June 23rd, to raise money to help give back the gift of art. I am very excited about Christie's new endeavour. Even more so after getting to meet Christie, who is very nice and hearing him talk about how much wants to give back the community through Gas Art Gifts. I thought long and hard about whether or not it would be appropriate to include information about R Gregory Christie's new project in a post about Leo Dillon passing. In the end I decided that yes it was;Leo Dillon was an artist gave simply by doing what he did best and Christie is an artist is looking to give back. Plus I'd must rather end on a note of possibility then one of loss. The author has a bestselling mystery series called The No.1 Ladies Detective Agency. The stories are quaint and a whole lot of fun. Since I am a fan of the series, I was excited to discover that the author wrote an early chapter featuring Precious Ramostswe, the detective in the series, in her very first case. In The Great Cake Mystery, readers are introduced to a young Precious Ramotswe who like her adult self lives in Botswana. Precious loves to listen to her dad's stories, but she can always tell when it starts turning into a tall tale. Precious pays attention and listens she knows when someone isn't telling the truth. These are two very important skills for a detective. When Precious's dad suggest she become a detective, she thinks its a good idea. When food starts going missing at school, Precious gets are first case must sooner than expected. Everyone in the class but Precious, believe a boy named Polowko is the thief. Precious knows he's innocent and must prove it to clear his name. This is a graphic novel based on the life of Nat Love who was born into slavery in 1854 and grew up to become a famous cowboy. The author's based this graphic novel off of Love's autobiography. "The Life and Adventures of Nat Love. I was confused by the first few pages, it felt as if I was thrown into Nat Love's post cowboy life as a porter. Being unfamiliar with Nat Love's life, a part of me even wondered if I was reading the right story. An old friend visits and convinces Love to write about his cowboy days. Love begins by recounting his years as a slave. After slavery is abolished Love earns a living by breaking horses, the first step to becoming a cowboy. I did not connect with this graphic novel textually or visually. Part of problem was that I was still out of sorts from the early confusion. However I did try to compartmentalize, focusing only on what was in front of me and it still didn't work from. From a textual standpoint I felt it lacked the excitement a cowboy story should have. Within the panels the clarity of the faces drawn varies. I would've preferred if Duburke committed to using one style. The story focuses a lot of the camaraderie of the cowboys as they take on dangerous jobs, like herding cattle. There's also much time spent on the battles between cowboys and Indians. Seeing Indians portrayed as the bad guys in Best Shot in the West, made me cringe. "We'd just left Dodge City after driving a herd of cattle. Our time there was not well spent: we'd boozed it up pretty good. I believe I'd left my good sense there. As we passed the fort, I got the notion that we could use a cannon back at the ranch to protect us from rustlers and Indians." Good or bad history is what it is and can not be changed nor should it be rewritten. While I am against the rewriting history I am all for having a supplement in the back that places the history of this context. I got off on the wrong foot with this graphic novel and it never got better. I am linking this post to Non Fiction Monday. This weeks round up can be found at Apples with Many Seeds. This is the third book in the Flora series. I read and loved, Flora Segunda, the first one but somehow I missed the second one. Reading the second one first would've been the smart thing to do, but I decided to mix it up a bit and go ahead and read Flora's Fury first. It's been awhile since I read Flora Segunda so it was very nice to see Flora again and get lost in Wilce's writing. Flora can't practice magic and must hide who she really is. If her true identity is discovered she will be killed. So Flora has a very strict quiet life doing paper work as a Lieutenant in the Army. But Flora risks everything to find her well hidden mother. Flora's quest could put her in the hands of the people who supposedly killed her mother and would love to do the same to her. One of the great things about this series is watching Flora grow up. Even without reading the second one (yet) I could still appreciate the pacing and care Wilce's is taking with Flora who is maturing in a very natural manner. Now Flora is torn about her feelings for two guys, Udo who she has grown up with and Sieur who she meets on this newest adventure. Wilce's writing is pitch perfect from the dialogue, confrontations, banter to those moments meant to creep scare and frighten. Flora is a well crafted three dimensional character and very easy to love. The author surrounds Flora with great secondary characters, adding another level of depth to this wonderful series. Also I was pleasantly surprised by the diversity. The author doesn't make a big deal out of it (which I enjoyed as well) but it is there to be seen for those who are paying attention. Flora's Fury is over 500 pages, but I was so into the story they flew by. Ysabel and Justin Nicholas are twins from a happy home. Their parents encourage and support their extracurricular activities. This cohesive family unit, also includes a set of grandparents that live close by. The story alternates between Ysabel and Justin. In the first few chapters the author gives the reader the opportunity to see the Nicholas family in the before, when their joy was second nature. In the after the twins are trying to understand their dad's secret, that he self identifies as transgender, this revelation forces the Nicholas family to rediscover their happiness which always came so easily. Davis gives Ysabel and Justin their own personalities and developments them so one can not help but get invested in their stories. Caring about the twins means also caring about the family as a whole. The twins will be spending spring break with their dad. It is the first time Ysabel and Justin will be with their dad, since he stopped having to hide a part of who he is from his family. Through the twins, the reader learns how important family and faith are to the Nicholas. I always enjoy Davis's straight forward approach as well as her ability to create realistic and engaging characters. Davis has written three very different YA novels, however they all have a common core, family. And the author excels at creating well round novels centered around families. I have a bad tendency of reading review copies well before the release date and not writing up a review or even jotting down notes. Though this also has it advantages as well because I get the opportunity to revisit a novel and reevaluate my first impressions. I know a novel is a winner when I can still remember much of the plot line and a few of the quieter moments that moved me in the first place. This is exactly what happened with Wanted. 17 yr old Michal is a bookie,and has set up her own buissness called Sanctuary at her high school. Michal keeps to herself and follows one rule, never place a bet. She's convinced herself she needs the money more then the rush. Before bets are placed, Michal reads from Dostoevsky's, Gambler. At first it was a cover now it has become ritual. Everything is going according to plan until Josh moves to Carson City. Soon after Michal places her first bet and catches the rush bug. Carson City is town divided by the have and have nots. Michal wants to use her winnings to even out the odds a bit. When that is not enough Michal and Josh begin a secret crusade. They are Bonnie and Clyde meets Robin Hood. I am not sure if author intended for Wanted and Sanctuary together so well or if it was simply a happy accident. I am betting (pun intended) on the latter. Wanted Sanctuary/ Sanctuary Wanted, either way there's something there that I could not ignore; even more so after reading the novel and getting to know Michal, who is raised by her grandmother, whom she calls Lillian. She also a longs for her mother and wishes for a closer connection to her mother's homeland of Mexico. After a creative writing assignment Michal continues to compose 5 word memoirs. When language is sparse I have a great appreication for it. Since the memoirs are only five words, Ayarbe is using punctuation like nobodies business. "Heart bursts with words not said"
Some of the memoirs are by classmates - "No country, No nationality, Mexican American exile" written by Moch. The two were very close when they were younger but drifted apart. Now Michal worries about the Moch she once knew, while the older one has joined a gang. The author handles difficult subjects like classism and racism with care. Nothing feels loaded down or forced. It all a smooth natural part of the story, as Michal and Josh risk everything to challenge status quo. Hopkinson is an award winning adult fantasy author, The Chaos is her YA debut and set in Toronto. After being bullied at her old school, Sojourner Smith who goes by Scotch is getting a fresh start at a new one. Scotch is doing her best to fit in and not give anyone reasons to tease her. Being able to see headless horseman floating about won't help Scotch to blend in, so she keeps that a secret. She also goes to great length to hide the black spots that are appearing out of no where on her skin. Scotch is a natural dancer and is member of the after school dance team with Gloria her ex best friend. Scotch life is hard enough with very strict parents and the headless horseman flying about but one night it turns upside down. While out with her older brother Rich, a volcano appears in the center of Lake Ontario and thus begins the Chaos. Strange mythical creatures are roaming free on the street and the spots on Scotch body are appearing even faster. Everyone is running around scared in this unrecognizable world. In all this confusion Scotch must find her brother who went missing at the start of The Chaos. "In the dance movies, people can dance their way out of any trouble. If some bad guy's coming at you, just take him out with a flying roundhouse kick, right? After all, aren't you a capoerirista along with being able to get buck with the best of them and pick up the tango after watching someone do it for, like, five seconds? Oh yeah, and let's pretend that standing on one foot while you fling one leg up in the air and swing it in a circle doesn't have you unbalanced with your crotch open to attack from someone who has the sense to just throw a quick jab at you and get out of the way." The author has created a very bizarre world and I really like it. Also it's uniqueness allows it stand out from other YA fantasy novels. However the author does not depend on the strangeness to carry the story. At its core are the people who must deal with all the craziness that they can now see and no longer ignore. New releases for the month of May that feature characters of color or a diverse cast. It's never accidental that my list goes up after Edi's. She always has titles middle grade and YA titles that I would've missed so I each month I strategically wait to put up my list after hers.